Be calm, collected and in the moment Too often, life just races by. You don t fully experience what s happening now, because you re too busy thinking about what needs doing tomorrow, or distracted by what happened yesterday. And all the time your mind is chattering with commentary or judgement. 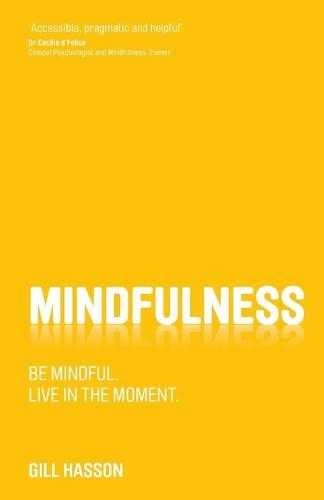 Mindfulness allows you to experience the moment instead of just rushing through it. Being mindful opens you up to new ideas and new ways of doing things, reducing stress and increasing your enjoyment of life. With ideas, tips and techniques to help you enjoy a more mindful approach to life, you ll learn how to: Adopt more positive ways of thinking and behaving Become calmer and more confident Break free from unhelpful thoughts and thinking patterns Bring about positive changes in your relationships Achieve a new level of self-awareness and understanding Life is happening right now; mindfulness will help you live in the moment, so it doesn t pass you by!